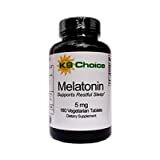 Melatonin is a naturally occurring hormone released nightly by the pineal gland to signal the body to go to sleep. 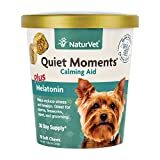 Melatonin is also used to relieve anxiety in pets. Melatonin for pets is available in a variety of tablet and soft chew dosages.